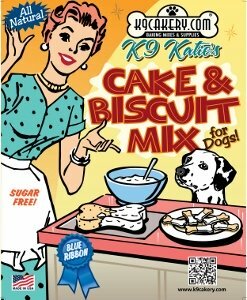 This red velvet cake for dogs recipe uses special all natural ingredients that can be found in a grocery that carries all natural products. Make sure that you buy products made in the USA. Otherwise, there could be additives that may be harmful to pets. Other countries do not necessarily have the stringent requirements that food products made in the USA must meet to satisfy the FDA regulations. We used all natural vanilla powder and all natural annato powder to make our dog cupcakes. Vanilla extract contains alcohol. Liquid vanilla requires more product - if you use powdered vanilla, you only need to use half the amount. Other vanilla products offer the "taste" of vanilla but are not all natural vanilla. The complete quick and recipe for red velvet cake for dogs including ingredients and instructions is written out for you below. 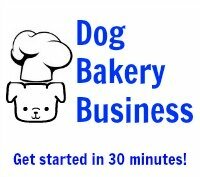 Click on the video to watch The Frosting Guy actually prepare dog cupcakes using these ingredients! Add in the natural vanilla powder and the annato powder and stir well by hand. You can make microwave valentines cake for dogs too. Omit the egg to modify the recipe for the microwave and pour the mix directly into a silicone dog cake pan or other microwave safe container. The finished dog treats will look like red velvet cake that is so popular among humans on Valentine's Day. Decorate using dog treat frosting. If you want to color it, add your icing color in, then stir until smooth and creamy. Frost the dog cake.